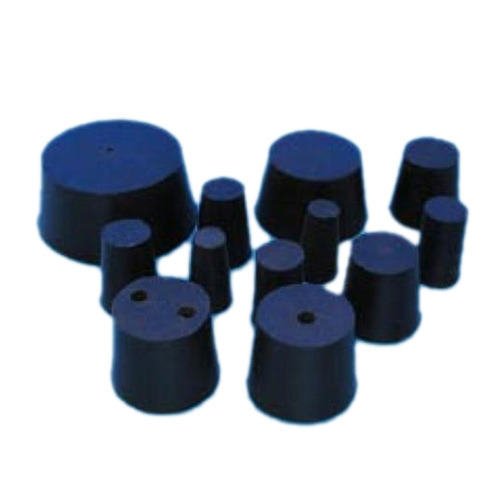 We are leading names in the industry, offering world-class array of Rubber Corks that are durable in nature and ensures high strength. Our entire product line has exceptional finishing and ensures smooth operations. Clients can avail them in varied sizes and dimensions and are offered in stipulated time frame. We, Shree Krishna Scientific Equipments Suppliers, have set an enviable benchmark for other companies as the leader in scientific lab materials and accessories. Capitalizing on our vast industrial experience, we have aided in the development of several educational institutes located in several parts of the country. The company has been established in 2008 and has since involved itself as the foremost manufacturer, supplier, distributor and trader of Laboratory Glasswares, Distillation Units, Laboratory Equipment, Plastic Wares, Laboratory Chemicals, Safety Products, Cotton Rolls, Laboratory Aprons, Laboratory Consumables, Laboratory Apparatus and many more. We deliver the best standard qualities of performance and reliability. Our products are vouched for by most of the successful firms, who have trusted us with bulk contracts throughout the years.